Garage Door Repair Brooklyn Center, MN | 763-200-9646 | Call Now !!! Our loyalty to our customers is indicated by our commitment to their problems but also to the progress of garage door openers. By being the most knowledgeable technicians in Minnesota, we can promise the most efficient garage door repair services. 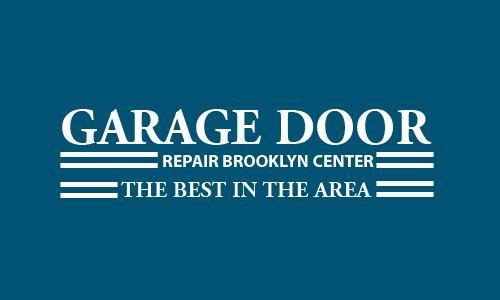 Garage Door Repair Brooklyn Center is a leading garage door company serving customers in the area and helping them with their installation, repair and maintenance needs. We work with top manufacturers like Stanley, Liftmaster, Amarr and Genie among others, so you are assured of quality parts that will help in operating the door smoothly. Furthermore, we recommend installing insulated doors that will keep your home warm and secure at winter and help you save on electricity costs. Our service trucks are stocked with a full line of components and accessories and we are available to help in case of emergencies round the clock. If you reside in Minnesota and your garage door is not working correctly - we can professionally fix it for you at an affordable rate. Garage doors and openers are used constantly, several times a day. As they are the heaviest moving objects at home, you can expect them to breakdown unexpectedly. However, this does not have to happen all the time. You can leverage on our maintenance expertise and this can go a long way in keeping the door fully functional. We have a huge customer base in the area and several customers have trusted us in servicing their garage doors. One of reasons we are so popular is the fact that we employ only the best technicians in the field. They are trained and tested before they start field work and in most cases they finish the repair task in just one visit. You can count on us if you need to install a new garage door or replace an existing one. We work with various models of doors and openers and can service automatic, manual and overhead doors of any brand. Our prices are very competitive and one of the best in the industry today. One of the most common problem that homeowners face is broken spring. This is something that can happen suddenly and we are available to assist anytime. Spring replacement should only be done by trained professionals, and we can do it for you in a safe and secure manner. With several years of experience under our belt, we have the expertise to repair any type of garage door and opener. We are flexible and can accommodate your requests and work within your budget. Our technicians perform a realistic diagnosis and give you a clear idea of the problem on hand. At times like these, there are several questions that may pop up in your mind. So feel free to ask our technicians and they will be happy to answer them for you. We’ve compiled a list of FAQs and you may find them helpful in case you face a similar situation. * Why should I service my garage door and opener regularly? Garage doors are heavy and we use them several times a day. Just like any other mechanical equipment, they tend to breakdown overtime and regular maintenance is essential. However, it is not recommended to attempt repairing anything on your own as it can be very dangerous. Our trained servicemen will be happy to be of assistance. * Why is rain coming through my garage door? In such cases, it is best to check the weather stripping. Perhaps the seals are worn out and they need to be replaced? In such a case, one of our technicians can certainly help you replace the seal and install one that is strong and resistant to vagaries of the weather. * I live in a hurricane-prone area, do you recommend buying hurricane kits or braces? A hurricane rated door is a better option any day. Hurricane kits or braces add to weight of the door and the springs need to be changed to counterbalance the extra load. At times the existing tracks need to be replaced as well. So, a wind rated door is the better option. * Does my garage door need to be aligned? Yes, if you notice any of these problems – if the door does not close fully and goes back up again, and if the door opener lights are blinking constantly. However, do not attempt to align the door on your own. Get in touch with our experts to do it for you and avoid unnecessary risks. Questions are not just limited to those above, and you can just pick up the phone and give us a call in case you need someone to answer all your questions related to garage doors. The doors that we install are built to withstand harsh and inclement weather conditions. As we’ve partnered with only the top manufacturers in the field, you can be assured that the doors are made using premium materials and tested rigorously before use. We also help install latest security accessories that can keep you home safe always, especially when you are on a vacation. With our expert technicians, your garage door installation or home remodeling project will have a smooth finish. 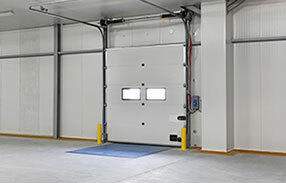 Total security and reliable performance are some of the hallmarks of commercial garage doors. Our team has ample experience in handling sectional, fire-rated, rolling steel, counter, aluminum, glass, insulated and advanced doors. In addition, we can help install security grills for enhanced safety. Commercial garage door systems are heavy-duty and need to withstand extreme hot and cold environments, plus they need to be thermally efficient too. We offer ample options to business owners and provide affordable yet safe solutions from a wide variety of business security systems. This way you are assured of reliability and peach of mind. For residential garage door owners, reliability is still paramount, however, there are a few things you can do it help us serve you better. A quick visual inspection is one of them. If you notice that the door behaves differently, then get in touch with us immediately. We can help detect a potential problem and fix it before any accident can happen. Here are some simple tips that will help in the smooth functioning of the door. * Lubrication. This might seem simple but you need to know that not all parts should be lubricated. The bearings, hinges and opener chains need lubrication. Our experts can help in lubricating parts that are beyond your reach. The tracks need to be clean and dirt-free as this will help the smooth motion of the door. * Springs. These are one of the most important components that balance the weight of the door and hence the tension should always be at the correct level. After years of constant use, springs tend to lose their tension and this will be evident easily as the door will open or close slowly, or not open at all. 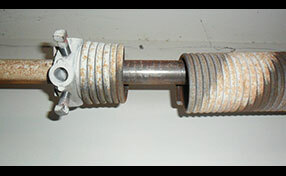 We can help repairing such springs and replace them if necessary. * Cables and other components. Worn out, corroded and frayed cables need to be fixed immediately. So contact our experts at Garage Door Repair Company in Brooklyn Center if you notice anything out of place. We will even check the screws, nuts and bolts to ensure that they are in place and fully functional. There is no component that is left unchecked if you choose us to do the annual maintenance of your garage doors. Garage door openers have made life very convenient for us, but they also need periodic maintenance so that they work well all year round. A safety reversal test can help ascertain if the opener is functioning correctly. If you are using an old, noisy opener that is outdated, we can help you find a new one that suits your needs and budget. We only install top opener models that have the latest safety features and this can assure you of enhanced security. In case you do not know how to program your remote or want to upgrade your existing one, we can help you with that as well. At Garage Door Repair Brooklyn Center we offer customized solutions as we understand that the needs of our clients are varied. Whether it is replacing your old garage door, installing a new opener, a routine maintenance check or an emergency late at night, we are always available to assist. We are one of the most reputed and dependable service providers in the industry and we’ve slowly built our solid reputation over the years. By choosing us as your repair company, you get more than just quick and efficient service, you rely on us to keep your home safe and secure, and we take that responsibility seriously. We give home and business owners several options that they are free to choose from and work within their timeline and budget. Our repairmen are trained and knowledgeable, and first identify the problem carefully. Then they proceed to explain the problem and its corresponding solution, and following your approval go ahead with the repairs. For us quality and efficiency are two important factors and that forms the basis of all that we do. If you are facing any expected problems with your garage door or need help in maintaining your door, get in touch with us today. We are always available to assist you round the clock and even during holidays. With the most remarkable professional team in Minnesota, our company promises exceptional and fast garage door repair services. We offer emergency repairs in the entire zip code 55430 area, specialize in overhead garage door services and excel in opener troubleshooting. The rollup units are simple and practical, but they are not as strong and durable as their counterparts. One major issue with them is they cannot be insulated.